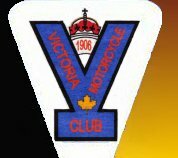 Click on the white and blue VMC logo near the top left of any page to return to the home page. For maximum benefit, you must be signed in when you visit this site. Enter your username and password in the login window near the bottom left, then click remember me before clicking login. Each time you return to the site, you will automatically be logged in. 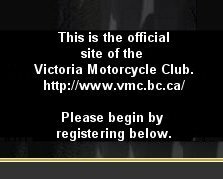 When you first return to the site after doing this, it will not appear that you are logged in until you either click on the VMC logo or browse to another portion of this site. When browsing galleries, you can click on the right or left side of the image itself, or, just use your left or right keyboard buttons to move forward or backward. If you have a google account, you can show links to the latest VMC site content on your Google home page. Click on one of the RSS feeds buttons within the Syndicate menu near the lower left side, then select a place to display the links from the dropdown window ie Outlook or Google etc. Now, when this site changes, you can see in your Outlook or Google homepage etc that there's been an update. You can view entries in the Forum without being logged in but you must be logged in to post new topics or reply. What type of riding do you do?